Lovely water lily pendant made of sterling silver. Try them with matching water lily earrings. Five petal Lotus Bracelet with a brush-matte finish. Stunning bracelet for all occasions. Lovely water lily earrings made of sterling silver. 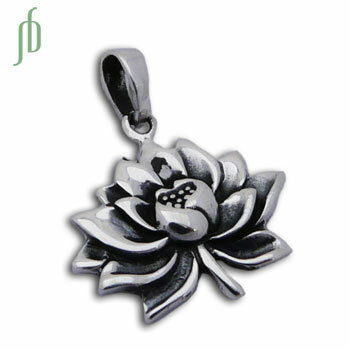 Try them with matching water lily pendant.